Friel was also an accomplished short-story writer and in 1980 was a founder of Field Day Theatre Company. Born in County Tyrone, in January 1929, ten years later he moved with his family to Derry. Trained as a teacher at St Joseph’s College, Belfast, he began teaching in 1950. In all Friel wrote 24 published plays, many dealing with the erratic workings of memory, and with the family, using Ballybeg, the archetypal small town, as a backdrop. Three of his most critically acclaimed plays were premiered over a period of 18 months, beginning in 1979. Aristocrats chronicles the disintegration of a once wealthy Irish family. Faith Healer, from 1979, emphasises the uncertainty of personal history. Translations, which followed in 1980, is about the mapping of Ireland by the British Ordnance Survey in the 1830s. Focusing on the translation of Irish place names into English, thereby providing a dramatic metaphor for imperialism, it fuelled debates about the identity confusion and historical revisionism that remains a feature of Irish culture. Praising its depiction of colonialism, the critic James Fenton welcomed it as a “vigorous example of corrective propaganda”. Aosdána, an Irish association of artists, said Friel probed the great national, political and cultural dilemmas of our time with “intense passion” and tenderness. 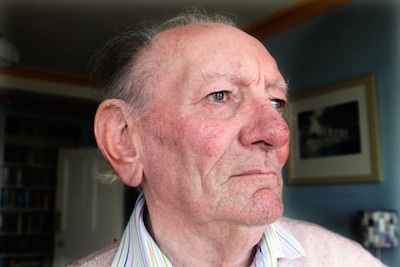 “His colleagues in Aosdána recognised his stature as a giant of Irish literature by electing him to be a Saoi in 2006, an honour limited to only seven artists in the country,” it said. “His legacy to the Irish people is immense,” said the President, adding that Friel would be remembered as a great Irishman. “His is a body of work that will endure. He was familiar to generations of Irish people and others across the globe,” said President Higgins. Sinn Fein’s Gerry Adams said much of Friel’s work “dealt with societal change in Ireland, culture, language and Irish identity.